The art of photography is one of the most pivotal aspects of today’s Pop culture and photography with the help of cutting-edge technology, has transcended from involving heavy duty equipment that can be transported easily to portable, lightweight tech devices known as smartphones. TECNO Mobile, knowing how photo centric this current generation is and how smartphone users continually search for a smartphone with utterly exceptional cameras has recently announced a flagship device from its CAMON series that beats an industrial benchmark. CAMON 11: New devices with the power to capture more beauty. 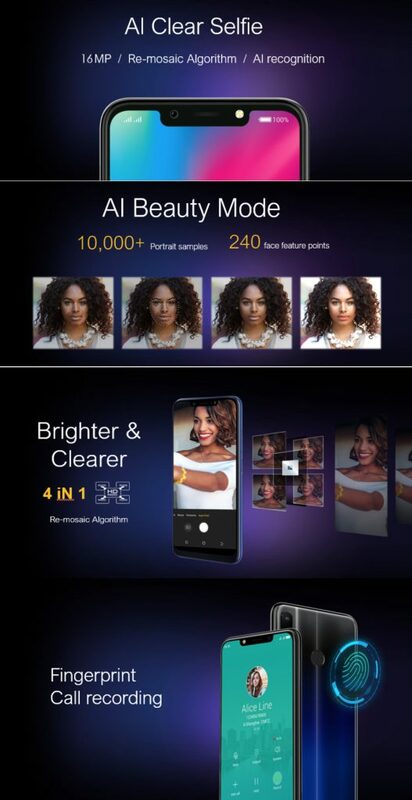 CAMON 11 adequately address any smartphone camera related grievance users could have, as the CAMON 11 comes with a 16MP selfie shooter and dual rear camera setup (13MP+2MP) that are synchronized with Artificial Intelligence which automatically recognizes user’s environment within seconds and adds various light shades in a bid to pick the best suitable settings for a high-quality image. It doesn’t end there, the new CAMON devices tracks 240 facial points in real time to properly replicate the user’s facial features and transform them into top notch pictures. This is a big deal as the industrial benchmark for most smartphone is 108, but the new CAMON 11 doubled that benchmark effortlessly- Great one from team TECNO. Over the years, TECNO’s consistency in launching really good camera- centric smartphone is commendable as these new devices seems to have added more weight on an already flattering record. With the new CAMON 11, it is obvious that flawless selfies will never be a thing to yearn for, as they are easily attainable. The devices also parade an Artificial Intelligent beautification effect, an A.I HDR, A.I Adjustable flashlights and other modes affixed into the device as camera sub features to ensure users have several enticing options to keep taking amazing pictures. Additionally, the new CAMON devices are not a slouch on other aspects that makes up an amazing device. The smartphones also showcase improved facial unlock feature which works more effectively, and users do not need to worry so much about keeping records as they can seamlessly record their phone calls by just tapping the fingerprint sensor which is placed behind the devices. Other features to look out for on the new TECNO CAMON 11 includes a 6.2-inch notch screen + Super full view display, a 4G LTE connectivity, a 3750mAh Li-Polymer. The CAMON 11 carries a 3GB RAM+32GB ROM.